If you've ever contemplated hiring a personal trainer then there are a few things you need to be aware of. My personal opinions of personal trainers notwithstanding (more on that later), adding one of them to your proverbial payroll can be a challenging and frustrating endeavor. Experience, credible certifications, professionalism and personal chemistry all play important and crucial roles regarding your long-term success. Below are seven things your personal trainer may get wrong out of the gate. Read them, study them and hold your next personal training experience to a higher standard. 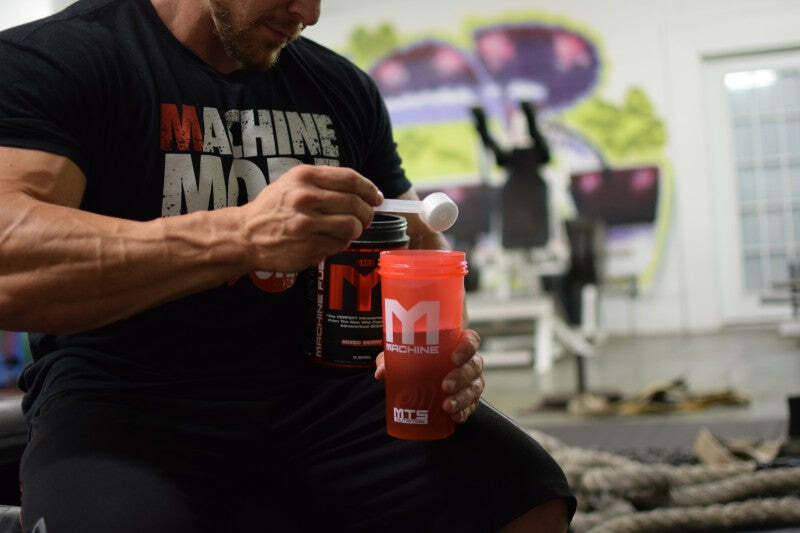 Promote muscle tissue repair and prevent catabolism with Betancourt BCAA 2:1:1. Buy now. This is arguably the most annoying aspect of a subpar trainer: Standing next to you starring into space counting reps. Congratulations, you hired an expensive rep counter. Of course this goes well beyond this simpleton duty. Texting, tweeting, taking selfies, chatting to their buddy, wishing they were somewhere else, complaining about the very gym they work for or completely unplugged from your training experience are all signs you need to fire this trainer immediately. You may not see the signs; you may think that all trainers act like this or you might just think it rude of you to take any action at all. You have every right to receive the best training experience possible with your best interests at the forefront. What they should do: Simply put, your trainer should be fully engaged sans phone, chit-chat with other members and or how drunk they got last night. Full engagement means having your goals present, assessing your form, technique and overall state of mind and performance, giving you constant feedback, correcting incorrect practices and maintaining a positive and motivating atmosphere. Now, it goes without saying that your trainer should be aptly qualified with all of the necessary certifications, experience and other technical requirements to give you the best possible service. Have you ever bought anything online and then a day or two later you seem to get an endless amount of emails from that company trying to sell you more? You just wanted that one item and now you are being bombarded by marketing, ads and constant reminders of so-called sales and promotions. Personal trainers can be guilty of this as well. 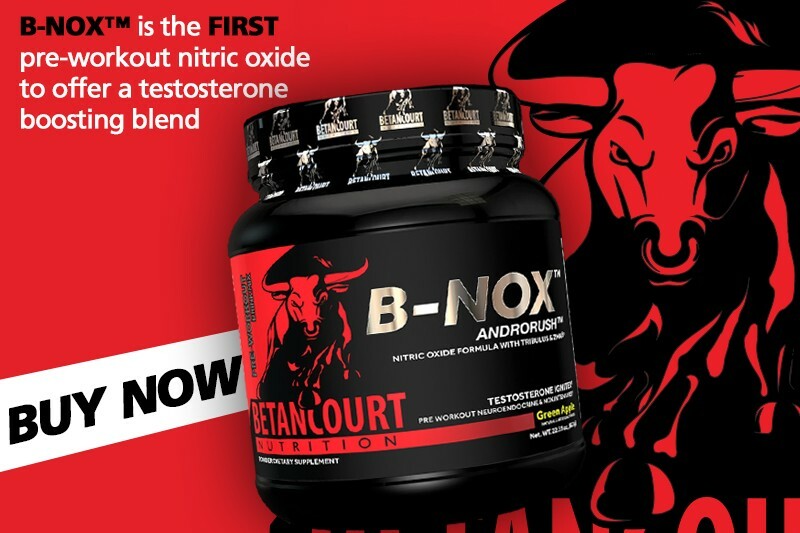 Betancourt B-Nox Androrush protects and strengthens your muscle pumps. 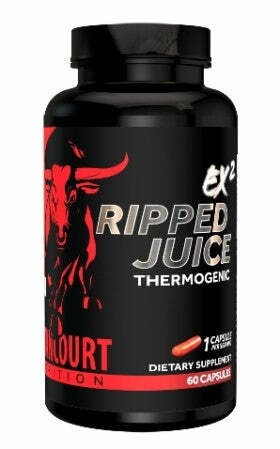 Click here to purchase this pre-workout formula now. You start your session and everything is going well. You start to have this nagging feeling that your trainer is holding back a little ? as if they are giving you the light version of your session. Then, about midway through they start to sell you on more training packages and other services and products you really don't need and didn't ask for. What they should do: A quality trainer should let his skills and experience speak for him. The used car salesman approach only turns current and prospective clients away. And keep in mind that word of mouth is the best advertising. Trainers should focus on the present: You. What you are doing now versus what you could be doing later. Your current training session shouldn?t be treated as inferior while promoting the ?great? services you might be missing out on. So you've been training with this particular trainer for a while. Over the last few sessions you notice that you've been steered into a particular direction. Are your appointments bodybuilding, cardio, powerlifting or bodyweight specific? Do you stick to only one or two training principles every day without much variety? Your trainer may be a bodybuilder or powerlifter so they might promote their own interests over your personal goals. This may be all they know to do. With little variation on training you may not be getting the complete and true trainer experience. What they should do: A qualified trainer needs to expose you to a myriad of training modes. To attain your health and fitness goals takes more than just growing bigger and stronger muscles. It takes a comprehensive approach including a full spectrum of factors. Muscular endurance, cardiovascular fitness, strength, power, mobility, flexibility and body composition all play important roles in your overall health and wellbeing. A good trainer will be able to incorporate these principles while keeping your best interests in mind. With the above said you also don't want your trainer to allow you to call too many shots. don't hire a pushover ? someone who allows you to go through the motions, take it easy on tiresome days or avoid challenging exercises or sequences. This also may be a sign that the trainer doesn't want to work too hard as well. They may want you to lead so they can have less of a responsibility for the outcome. Lastly, this could be a sign that the trainer is inexperienced and is faking their ability to truly help you get to your goals as effectively as possible. What they should do: A mutual atmosphere of suggestions and feedback should be established from the get go. Yes, you have every right to steer toward modes and techniques that you enjoy but you should also let the trainer expose you to things you've never experienced before. Additionally, your trainer should be able to show you new tricks for movements you are already familiar with. Their ability to modify, progress, regress and shift traditional training methods should be readily apparent. If not then what's the real use in hiring a trainer? This point goes hand-in-hand with your trainer?s mission to sell you stuff you don't need. Some of the less than desirable ones will secretly try to make you dependent on their services. How? They only give you enough information to make you come back for more. Techniques, methods and any other reasoning for what you are doing aren?t explained in detail and questions are answered with short, incomplete quips conjuring more questions. This forces you to come back, purchase more sessions and start the whole process over again. What they should do: One of the most important roles of a personal trainer is one of teacher ? to educate their clients to become independent. Yes, it sounds like a contradiction, to gain a client so you can set them free, but as stated before, trainers need to let their reputations speak for them. It shows experience, effectiveness and confidence. don't be a dog on a leash and allow your trainer to lead you on indefinitely. Become the student but have a graduation date set. 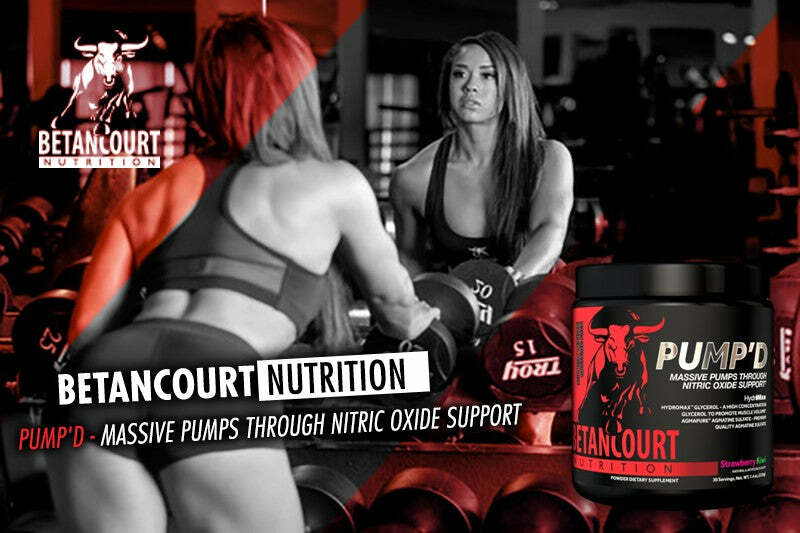 Pump'd is a stimulant-free pre-workout that provides massive pumps through nitric oxide support. Order yours now. Sell, sell, sell. That's all I see trainers do these days in commercial gyms. Not only do they sell more services and products from the gym some tend to promote themselves to a fault. Certifications, physique shows won or participated in, college degrees, name dropping, weight lifted, body fat measurements you name it they will brag about it. For some reason they feel this gives them more credibility and a badge of awesome. Note to all humble-braggers: The client isn't there to worship you; they are there to get results. What they should do: Again (I sound like a broken record) your trainer should be assessed by how professional they are, the quality of service they provide and the results you are experiencing. An endless list of letters behind their name, power lifting records or all the cool people they know will do little for you at the end of the day. If self-promotion is their main mission then their priority lies in being popular rather than providing you with the best possible service. Where is your trainer when you are working out? Are they on the imaginary sideline with their hands in pockets watching you train? Is there a look of disinterest and lethargy in their eyes patiently watching the clock and eagerly waiting for the end of their workday? This is sad in so many ways. First and foremost they aren?t paying attention to you at all. They aren?t correcting form, interjecting any feedback or even watching. Additionally, they may not even be able to perform the exercises you are trying to do. What they should do: Aside from the obvious fact that your trainer should be fully engaged in what you are doing, they should also never prescribe anything that they wouldn't or couldn?t do themselves. They should fully demonstrate each and every exercise comprehensively and include regressions and progressions along with safety and troubleshooting concerns. Your personal training session should be a shared, mutual experienced with both participants with the singular goal of effectively moving you closer to your health and fitness goals.